“Catching Fire” will make unholy amounts of money when it comes out next November. That’s just a given. The first “Hunger Games” movie has already earned $463 million worldwide, and by the time I’m finished writing this article, that number will have risen. The film has appealed to a wide and enthusiastic demographic, and reaction has been largely positive. It’s inevitable the sequel will do even better, whether or not it maintains its predecessor’s high level of quality. 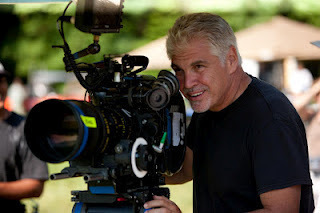 And sadly, today’s news (via Deadline) that Gary Ross will not return to direct “Catching Fire” makes me fear that the “Hunger Games” follow-up is going to pale in comparison to its predecessor. I know some viewers disagree, but to my mind, Ross is one of the key reasons “Hunger Games” rose above its source material and transcended studio trappings, and when you combine his departure with the ridiculously tight schedule Lionsgate has set for the sequel, I’m very concerned for the creative future of this franchise. “Despite recent speculation in the media, and after difficult but sincere consideration, Ihave decided not to direct ‘Catching Fire.’ As a writer and director, I simply don’t have the time I need to write and prep the movie I would have wanted to make because of the fixed and tight production schedule. 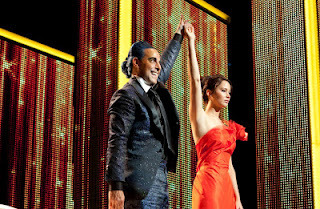 I loved making ‘The Hunger Games’ – it was the happiest experience of my professional life. Lionsgate was supportive of me in a manner that few directors ever experience in a franchise: they empowered me to make the film I wanted to make and backed the movie in a way that requires no explanation beyond the remarkable results. And contrary to what has been reported, negotiations with Lionsgate have not been problematic. They have also been very understanding of me through this difficult decision. This is the rare instance where I believe every word of the released statement, because the facts we have, along with the quality of the finished “Hunger Games” film, back it all up. When Ross says he was given creative freedom, I don’t doubt it for a second; I sensed studio interference here and there in the finished product, but for the most part, it’s a very artistically made film, one that doesn’t play like the big generic tent-pole many of us expected it to be. 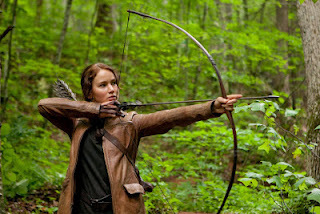 “The Hunger Games” lives and breathes as a unique cinematic experience, and as I said in my review of the film, I give most of the credit to Ross’ direction. I love absolutely every creative decision he made, from the casting to the gritty tone to the instinctive, borderline sensual qualities of the cinematography. It is a spectacularly crafted picture, and when I look at other production elements, like the source material, script, and music, it’s clear that Ross is the biggest reason the film turned out as well as it did. So no matter what, I was going to be disappointed if he left the franchise. In fact, I chose to stop reading “Catching Fire” after I saw the first film because I felt confident Ross’ take on the story would be more engaging. That being said, there are still plenty of other great directors who could effectively pick up where Ross left off; it’s actually the first part of his statement that makes me actively worried about the creative integrity of the sequel. He cites “the fixed and tight production schedule” as his reason for departure, and if Ross – someone who has been with this series from the beginning – is so dismayed by Lionsgate’s rushed plans that he would forego a no doubt considerable paycheck, then how should we expect any director to come in at the last minute and somehow craft a great movie? Let’s take a look at that schedule: “Catching Fire” is set to hit theatres on November 22nd, 2013, only eighteen months from now, and because Jennifer Lawrence is shooting the sequel to “X-Men: First Class” come January, principal photography on “Fire” will take place this fall. That means that whomever Lionsgate hires has only the summer months to complete a hell of a lot of pre-production work, including finishing the script. Just examining the logistics, it’s easy to see why Ross left. Artistic integrity is taking a back seat to the release date, and that almost always results in a compromised and underwhelming – if not outright disastrous – final product. A similar behind-the-scenes scenario occurred with “X-Men: The Last Stand,” and I think we all remember how horrifically that turned out. I understand Lionsgate wanting to rush this one to theatres. The more they wait, the more “The Hunger Games” fades from public consciousness, and they risk losing viewers. But if they had pushed back the release by half a year, to summer 2014, it’s likely Gary Ross would have stayed on, and the time jump wouldn’t be nearly enough to impact the audience. And even though the sequel’s financial success is guaranteed, quality really does matter. Depending on whether or not they split “Mockingjay” in half, they have one or two more films to go after “Catching Fire,” and if it disappoints creatively, that’s when you risk losing audiences (namely the casual fans who aren’t obsessed with the novels). I’d love to throw out the names of some directors I’d like to see step in and take Ross’ place (in a perfect world, my pick would be Darren Aronofsky), but honestly, on this tight a schedule, it just doesn’t matter who takes the job. They won’t be able to leave any significant mark on the film, because they’ll be coming in just under the wire with much of the pre-production already done. Under the time constraints, the best-case scenario is that the new director competently executes a set of generic studio guidelines, and that’s going to be a big step down from the unique and innovative sensibilities of the first film. There are certainly directors capable of keeping the film afloat – Jon Favreau, Joe Johnston, and David Slade immediately come to mind, as they are quality filmmakers who have worked under similarly stressful circumstances – but there are limits to how much they will be able to do. The culprit in all of this is the schedule; a rushed release-date is threatening one of the most promising blockbuster franchises to come along in ages, and that is tremendously frustrating. I hope Lionsgate does the right thing and delays the release date so they can either bring Ross back or find a suitable replacement. It’s unlikely they’ll change their plans, but no matter what, I hope they realize that they have something very special on their hands. It would be a shame to squander it.